This Window Buying Tips video is designed to help you understand windows better so that you can make informed buying decisions for your home. If you have any questions let us know and we'll be happy to answer them. WE ARE COMMITTED TO PROVIDING OUR CUSTOMERS WITH THE HIGHEST QUALITY PRODUCTS AND SERVICE FOUND IN THE GREATER JOHNSTOWN AREA. 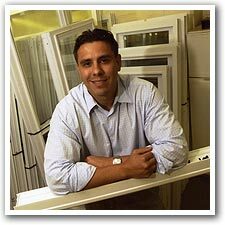 I would like to personally extend my appreciation for inquiring or inviting us into your home to afford you the opportunity to learn more about Salem Window Company replacement windows. Salem Window Company has the expertise required to analyze the special needs of your home and to assist you in selecting the style that will most attractively suit you, based on a clear understanding of the products that we sell. Our company is a member of the Better Business Bureau and the Chamber of Commerce. Since Salem Window Company is the premier window dealer in the area, you benefit from a history of stability and continuity. You can count on our commitment to you for many years to come. We would be happy to come to you and provide a free, no-obligation estimate on new windows and doors for your home. There has never been a better time than now to make your home more beautiful, comfortable and energy efficient.